I named this dragon Koboto (Demon Flame Koboto). It’s wings are made of blue hell-fire that can burn the soul. 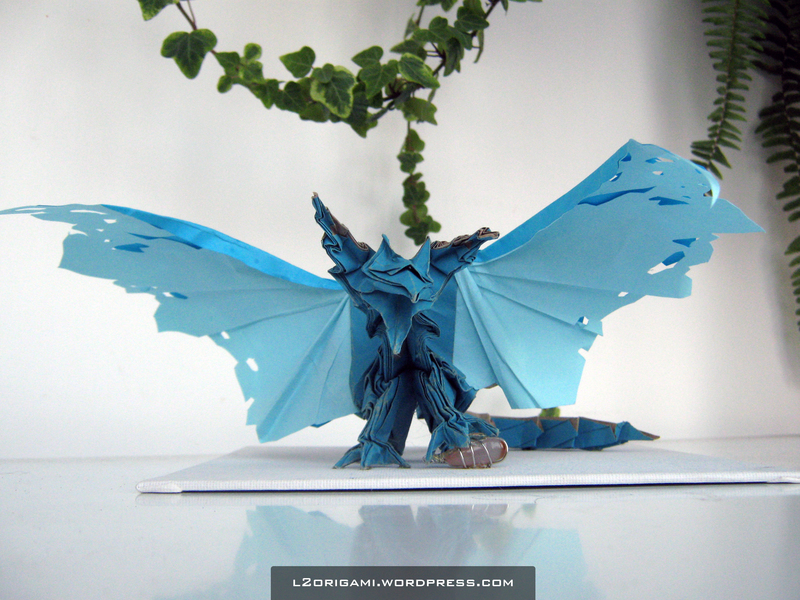 It’s the Darkness Dragon by Tadashimori. 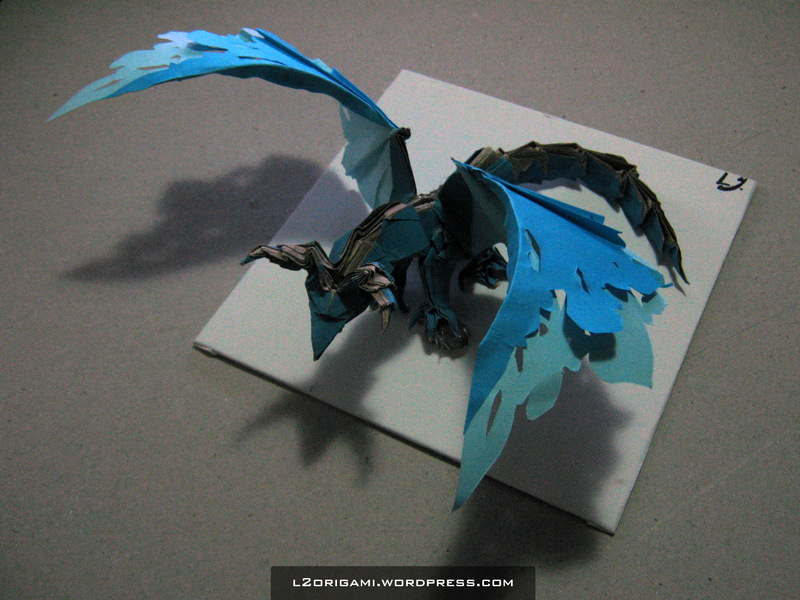 The wings are modified by me by adding 2 layers of cut paper (a sort of kirigami). It took me 10 hours to make it and I’m so so so proud of it! Hope you guys like it! Looks like an old frost dragon. I can see the work you put into this.